This morning at 10am police and RWE rated the the forest occupation again. 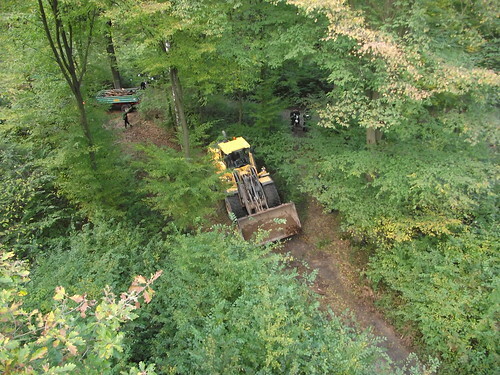 It’s not clear if there was a higher purpose then destroying the soil with there wheel loader or just the plan to bother the spring fever by annoying all inhabitants of the forest. unfortunately this it worked for the non human beings but not for the people on the tree houses which where in a nice mute. becoming more important, role of documenting these historical events.